Offering you a complete choice of products which include automatic boom barrier, boom barrier, toll barrier, parking boom barrier, electric boom barrier and electrical boom barrier. Specifically engineered for high traffic flows and low maintenance, the L-series sets the new standard in reliability. With its anti-vandal design, the L-series can be installed in both manned and unmanned locations in remote and urban facilities. With its unique feature our light arm Boom Barrier are designed to offer long-term reliability, efficient operation and durability. Our boom barriers provide smooth consistent operation with single phase supply. These boom barrier is designed to use in residential & commercial applications that to suit your requirements. 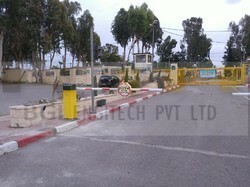 Leveraging on the rich industry experience, we have been able to provide the customers with a remarkable range of Toll Barriers with the highest speed. 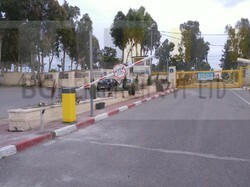 BGI's Parking Boom Barriers are industry leading high-volume, low maintenance administrative arm barriers. When synchronized with bollards or spikes, the combination becomes an effective anti-ramming solution and is used extensively to protected entrances worldwide. Electric Boom Barrier is the workhorse of the BGI range and is designed for extra heavy duty operation under the extreme humid weather. Exceptionally reliable, this barrier has full Aluminium Body, inbuilt light for visual identification and a reinforced aluminum arm with protective rubber strip. With opening time adjustable between 4 to 5 seconds and a control unit encased in IP 55 protective enclosure, this is the barrier of future. 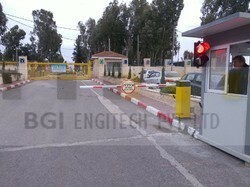 We are offering Electrical Boom Barrier to our client.BGI's Automatic Boom Barriers are industry leading high-volume, low maintenance administrative arm barriers. When synchronized with bollards or spikes, the combination becomes an effective anti-ramming solution and is used extensively to protected entrances worldwide.Specifically engineered for high traffic flows and low maintenance. Suitable for border crossings, car parks and entrances to compounds, the L-series can be integrated into a range of access control and intruder detection systems to provide a comprehensive perimeter security solution. With its unique pneumatic system, the L2000 Pneumatic Barrier system provides a solution to very high volume traffic flows. Opening times of 0.7 Seconds can be achieved, but the pneumatic operation results in very low maintenance since the air pressure ensures minimal wear on the system components. 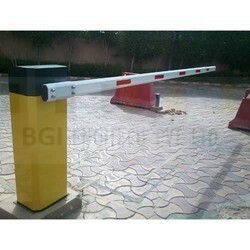 BGI's L-Series are Industry leading high-volume, low maintenance administrative arm barriers. Specifically engineered for high traffic flows and low maintenance ( it has no motors), the L-Series sets the new standard in reliability for toll applications in India. With its anti-vandal design, the L-Series can work up to 5 cycles even without power thus eliminating the complete requirement of hand cranking. L1000 Electrical Boom Barrier is installed at thousands of entrance ways and Provides a reliable solution to the single lane or lower-volume use. By separating the drive mechanism from the gear mechanism, BGI engineers have managed to solve a problem that plagues traditional light arm barriers. Where direct drive motors are typically employed, horizontal pressure from a vehicle impact or vertical pressure from vandals or attempts to force the arm will result in severe damage to the motor which is usually irreparable. L1000 Electrical Boom Barrier is electrically operated barrier, pressure on the arm may damage the arm, but the drive mechanism will not be affected. We are leading manufacturer of Electromechanical Boom Barrier and we looking buyers from all over india.